"From the condo's to the beach, it's simply magnificent!" Tyne Beach Terrace Apartments & Houses is a small and very private gated community located in the Bahamas, 20 condo's with 2 of our 9 new beach houses available from March 2018 all set on our beautiful beach with sea views. If its a beach & sea vacation that you want then you have found it. All of our condos are fully equipped with A/C and include cable & high speed WIFI. Balconies & terraces have lounging furniture and grills direct beach access and those all important sea views. The condo features a seasonal outdoor pool, garden and free private parking is available on site. Our houses all feature direct beach access, private infinity pools, high end contemporary furniture including pool loungers. Bose sound and Sony 50" flat screens come as standard along with fully fitted kitchens. Towels and bed linen are included with a luxury arrival pack of amenities to get you started. Car rental is recommended/available at the property and the area is popular for fishing, diving and golfing. The nearest airport is Grand Bahama International Airport, 8 km from the property. We are a 15 minute drive from Port Lucaya which has a great selection of restaurants, evening entertainment and of course a casino. Take lovely walks on this very private beach, it's a family paradise. We have beach, beach and more beach! We speak your language! 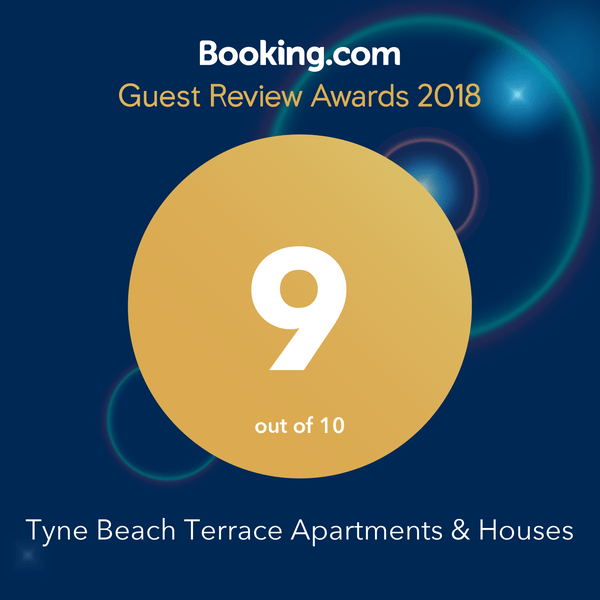 Tyne Beach Terrace has been welcoming guests since 1990. Tyne Beach Terrace is set in the beach in Freeport in the Grand Bahama Region. © 2019 Tyne Beach Terrace. All rights reserved.